A sink grid or basin rack plays a valuable role in your kitchen. 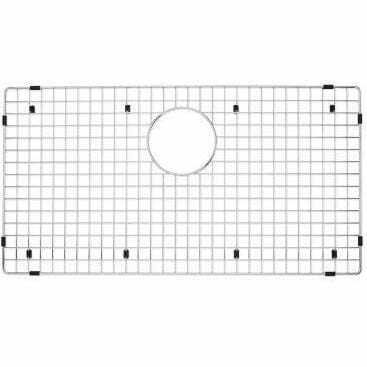 The grates are designed for a precise fit and help prevent surface scratching and allow the sink to drain properly. This sink grid is made from stainless steel with protective feet and side bumpers. This grid is custom designed to perfectly fit Blanco Magnum drop-in/undermount sinks.